The Indigo sofa is a real centre piece for your living and relaxation space, absolute comfort and style in one package. Simple lines being the signature of this stunning contemporary range, nothing is lost in design and craftsmanship however, in fact the simplicity further highlights these key elements. The main frame and weight bearing sections are multi-plywood for maximum support. 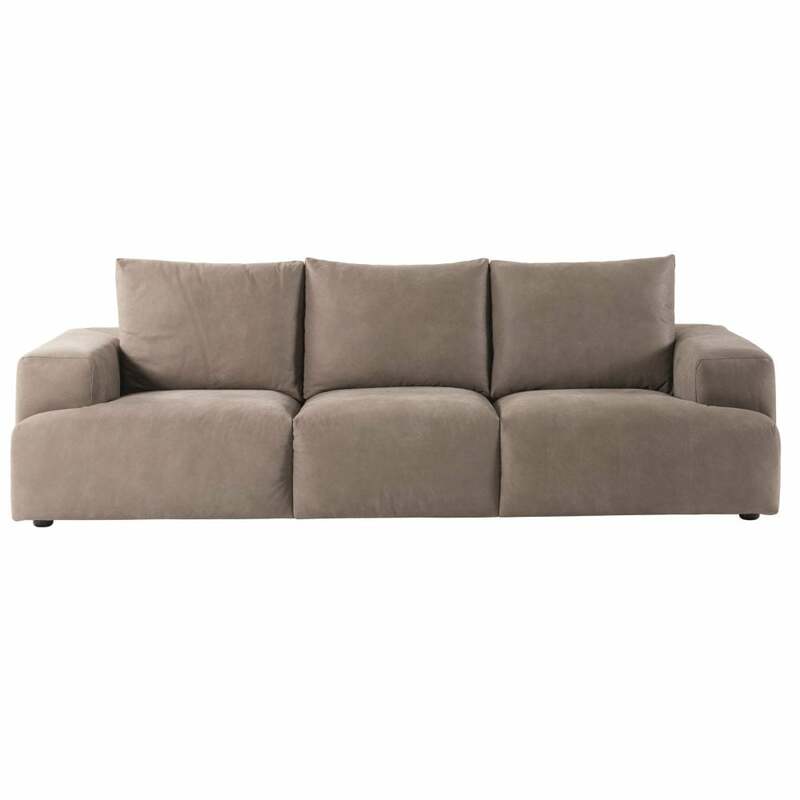 High quality polyether foam is used for the base of the upholstery while the cushions are filled with high quality polyether foam with sectioned covering in a down/acrylic fibre mix. The throw pillows are sectioned off and also filled with down mixture, for total comfort and support. You have the option of a leather or fabric finish, in the leather version the straps of the neck rolls are finished in the same leather, in the fabric version brown imitation leather is used. What is obvious here is the great attention to detail, that and the fact that this sofa has luxury and comfort written all over it, how can you resist!